We couldn’t share food with our neighbors without you. Manna appreciates donations both from individuals & groups. 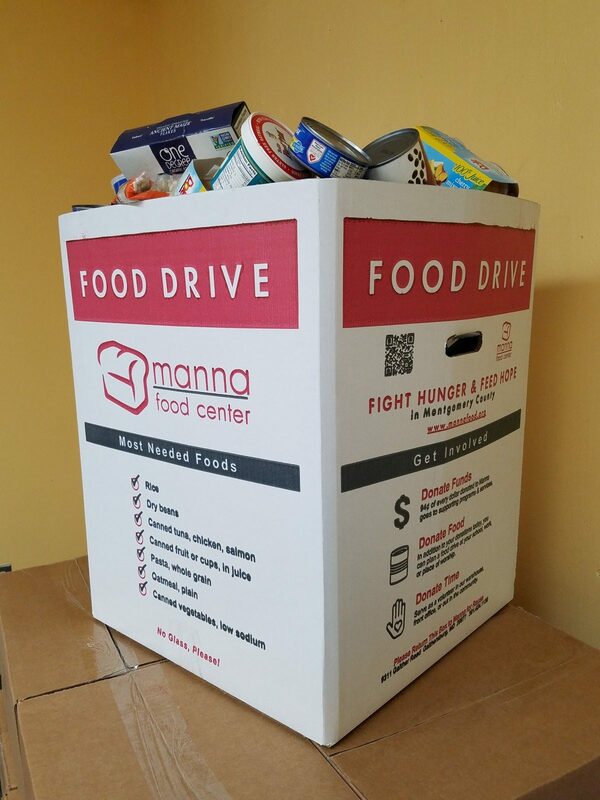 One of the ways you can help is to sponsor a food drive at your office, faith-based organization, civic group, school, club, or neighborhood association. Check out this Most Needed Foods List to donate the most healthy and helpful foods. We are about a ½ mile from Shady Grove Rd. An after-hours drop box is located outside the main entrance for donations made after our regular office hours. If you collect a large amount of food (more than a minivan will hold), we may be able to arrange for one of our trucks to pick up the donated food with advance notice. Simply contact Manna at 301-424-1130. Please note that we may need several days lead time – or even a couple of weeks during busy times (especially the holidays)– in order to pick up your donation. Foods with an “off” odor or foods that show any other signs of spoilage (browning, slimy layer, unusual color).